State Street and Bloomberg have jointly implemented an enhancement for the institutional ETF market. State Street Corporation (NYSE: STT) has teamed up with Bloomberg to launch an upgraded utility that helps enhance fixed income exchange-traded fund (ETF) market, whereby assisting users in the processing and settling of ETF orders in a more streamlined and automated fashion, per a recent State Street report. ETF trading is on the rise in the United States and other countries, which according to Broadridge’s ETF tracker has notched double-digit growth in 2016. This increase has occurred across both the retail and institutional sector, with the adoption of institutional ETFs receiving attention via the new partnership between State Street and Bloomberg. The growing ETF industry has thus provided an impetus to upgrade the trade and settlement of these instruments in the primary market – more specifically, the aforementioned enhancement entails the assimilation of Bloomberg’s Fixed Income ETF Basket utility with TotalETF, State Street’s automated, ETF servicing solution, as well as Fund Connect, State Street’s online order management system. For its part, Bloomberg’s service helps afford authorized participants the ability to submit orders directly from State Street, whereby generating in-kind settlement instructions based on transaction messages received from Bloomberg – the utility is slated to be available to all ETF sponsors presently serviced by State Street Global Services. “As institutional participation in the fixed income ETF market grows, the need for workflow efficiency in the creation and redemption process will be critical. 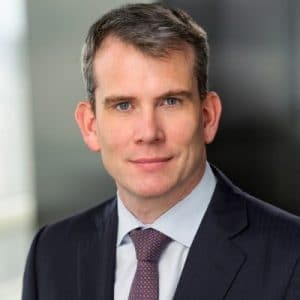 The integration of BSKT and TotalETF ensures that ETF sponsors using Bloomberg and Fund Connect will experience efficient processing of their transactions,” explained Ben Macdonald, Bloomberg’s Global Head of Product, in an accompanying statement.